We have some of the finest Ruffed Grouse hunting in Maine, and early season also produces large numbers of Woodcock as well. Early fall in Maine gives bird hunters the opportunity to get in the woods while the weather remains mild. 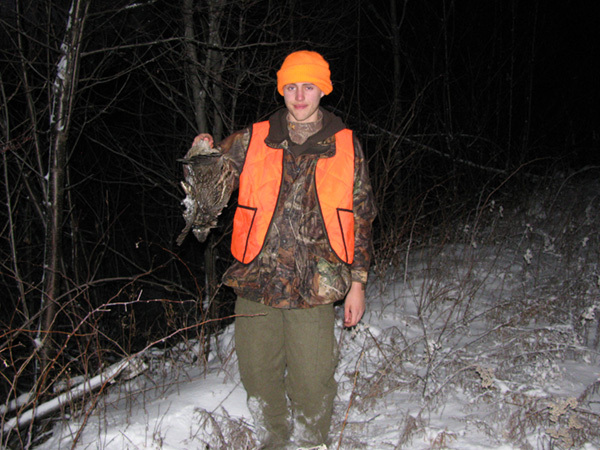 The ruffed grouse remains the icon for bird hunting in Northern Maine. The abundance of birds here makes it a great spot to bring your dogs to work, but they are by no means required to have a successful hunt. 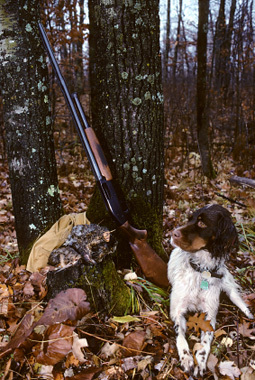 The typical day of hunting can produce several flushes with or without a dog. These tasty treats can provide for a great appetizer with your dinner. 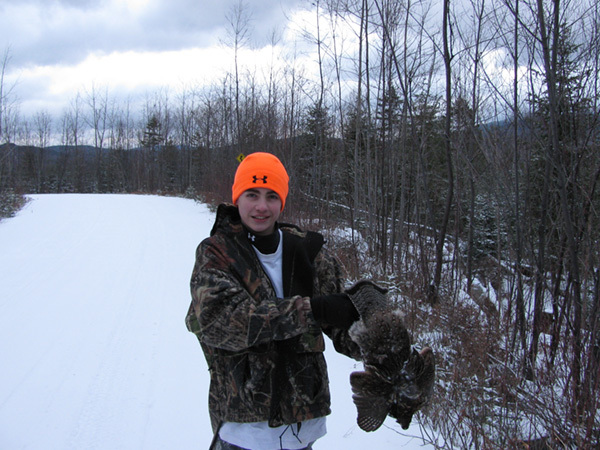 For a truly relaxing and enjoyable hunt come to Bulldog Camps for a Maine Ruffed Grouse hunt. Maine bird hunt begins October 1st - December 31st. Woodcock hunting in Northern Maine is one of the most underrated resources available to upland bird hunters. Both grouse and woodcock thrive in the covers of Northern Maine. The areas you will be covering for woodcock tends to be tougher walking conditions, as they are often quite wet with very tight cover. You will be off the "beaten path" during your woodcock trip, so be prepared to walk. Woodcock season is different then grouse. Be sure to check: Maine Gov for updated laws and dates. Woodcock are migratory birds. They range over much of the eastern half of the United States and Canada. The birds favor moist woodlands with streams and swampy areas. These birds feed almost exclusively on earthworms, grubs and other invertebrates, using its long bill to probe in soft soil. The bill has a flexible tip, and the tongue and upper mandible are rough, letting the bird grasp its food underground. Because its eyes are set so far back on the head, the woodcock can easily spot predators while feeding. The male is known for its courtship flight. After arriving on the breeding grounds, he establishes and defends a territory, usually along the edge of a field or woodland opening, the female nests and raises the young on her own. The nest is a shallow depression in the ground, near a bush, tree or thicket that is scraped by the female. She usually lays three to four buff colored eggs that hatch in twenty-one days. The typical day of hunting can produce several flushes with or without a dog. "The pictures on line had not done the camps justice!! We were here five minutes and planning our next visit."